A jogger set for future track stars. 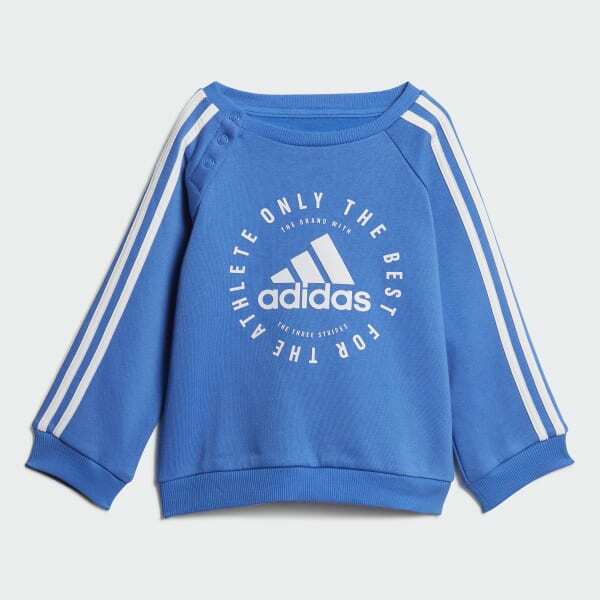 This infants' jogger set is designed to provide cosy comfort. It's made of fleece and features ribbed cuffs at the wrists and ankles for a stay-put fit. A snap closure on the shoulder makes it easy to get them dressed. The adjustable drawcord waist helps keep the pants in place.